Efficient and effective immigration assistance. Alisheva Law is a national immigration law office proudly serving the Tri-Cities (Kennewick, Pasco, Richland) and surrounding southeastern Washington region. We serve the immigrant community by assisting non-United States citizens in obtaining lawful status in the United States through a variety of services. With a strong emphasis on family-based immigration, Alisheva Law practices Immigration and Nationality Law exclusively. What distinguishes us from many other law offices throughout the region is that we personalize our attention and focus on each client. We truly welcome our clients' diverse backgrounds and consider all appropriate and creative options to produce successful results. Our mandate is simple: keep the family together. $100 for a consultation, and if we are retained, that fee is absorbed into our retainer since we don't charge for consultations. We have a reasonable fixed price schedule for the majority of our services. Please contact our office for further information. We don't use hourly rates generally. In the rare instance where it will serve the parties, we will negotiate the amount. - Citizenship through Naturalization Naturalization is the process by which U.S. citizenship is granted to a foreign citizen or national after requirements established by Congress in the Immigration and Nationality Act (INA) are fulfilled. You may qualify if: you have been a permanent resident for at least 5 years, you have been a permanent resident for 3 or more years as a spouse of a U.S. citizen, or you have qualifying service in the U.S. armed forces. A child may qualify for naturalization if the parent is a U.S. citizen, the child was born outside the U.S., and the child is currently residing outside the United States. - Deferred Action On June 15, 2012, Secretary of Homeland Security Janet Napolitano made an announcement that certain young people who were brought to the United States as young children do not present a risk to national security or public safety. If certain criteria are met, these young people will be considered for relief from deportation and removal proceedings. - Deportation/Removal Proceedings Removal proceedings (deportation) can be initiated due to various reasons. At Alisheva Law our goal is to keep you in the United States and there are many forms of relief that are available for the defense of deportation. For example, if convicted of specific crimes involving moral turpitude, you may be eligible for a waiver under section 212(h) of the Immigration and Nationality Act. Certain permanent residents who have a criminal conviction may still be eligible for cancellation of removal. If you have been physically present in the United States for more than ten years and you have a spouse, parent, or child who is a lawful permanent resident or a U.S. citizen you may be eligible to apply for cancellation of removal if it is established that your removal will result in exceptional or extremely unusual hardship to any qualifying, immediate relatives. - Family-Based Residency/Adjustment of Status At Alisheva Law, we can assist you with Form I-130, Visa Petition for Immediate Relative, Form I-485, Application for Lawful Permanent Residence, and the many other family-based visas available, such as Form I-129, Fiancee Visa. We know the questions you can expect in marriage adjustment proceedings and we can assist you with a conditional lawful permanent residency application if you have been married for less than two years. Our office will also help you prepare for the interview process and, upon request, representation can be made available for your interview. - Asylum You can apply for asylum based on an actual experience of persecution in your home country or fear of persecution based on race, religion, sexuality, nationality, political opinion, or membership in a particular social group. - Employment-Based Alisheva Law can assist you in the application process for an employment visa. About 140,000 employment-based immigrant visas are made available to qualified applicants each year in the United States. These visas are divided into five categories: priority workers, professionals with advanced degrees or exceptional abilities, skilled and unskilled workers, special immigrants, and immigrant investors. Additionally, there are employment non-immigrant visas, otherwise known as Temporary Worker visas. As an immigrant myself I understand the stressful nature of the immigration process. I enjoy working with people from all over the world and helping people stay in the U.S. lawfully. What distinguishes us from many other firms is our personalized attention to solving our clients' problems. We strive to provide each client with successful results by considering all appropriate and creative options. Aliya knew from an early age what she wanted to do with her life. 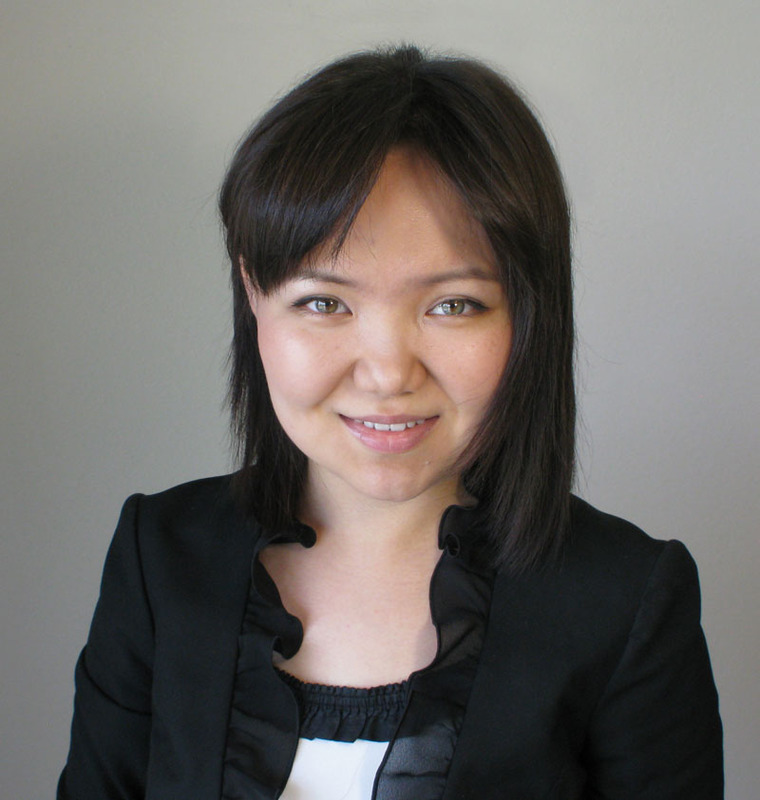 Born in the former Soviet Union in what is now Kazakhstan, a large landlocked nation in Central Asia that gained its independence in 1991, Aliya's passion for law and justice led her to the legal profession. She attended Eurasian National University in Astana, the national capital and business epicenter of Kazakhstan, where she received a Law Degree in International Law. Upon graduation, Aliya traveled extensively and after concluding a trip to the United States, where she also acquired fluency in the English language, Aliya decided to further her education in the United States. Through a series of rigorous and highly competitive tests she became a prime candidate and eventual recipient of the prestigious Bolashak International Scholarship, awarded only to the best and brightest students in Kazakhstan. This accomplishment afforded Aliya the opportunity to earn her Masters of Law degree (L.L.M.) from University of California - Davis. As an immigrant herself, Aliya has firsthand experience with immigration and truly understands the stress and frustration that comes with a process that can often be prolonged, circuitous and confusing. As the landscape of immigration law constantly changes with the passing of new legislation and the creation of new precedence through court rulings it is vital for an attorney to stay informed. In order to achieve the best results for the client, the proper procedures and guidelines must be closely followed. Aliya understands these unique challenges while also sympathizing with the struggles of immigrants and their families. It is with the utmost compassion and dedication that Aliya assists immigrants and non-US citizens as they navigate through the immigration process. Aliya is fluent in both Russian and Kazakh. She is a member of the California State Bar Association, the American Bar Association, and an active member of the American Immigration Lawyers Association (AILA).